Couples who reported disagreeing about finances once a week were 30 percent more likely to get divorced than couples who reported disagreeing about them once a month. As anyone who’s been there knows, there’s no such thing as a friction-free marriage. But arguing can be ominous when the topic is money. Couples who reported disagreeing about finances once a week were 30 percent more likely to get divorced than couples who reported disagreeing about them once a month, according to a Utah State University study. In another survey, published in the Forum for Family and Consumer Issues, finances proved to be the leading cause of conflict in marriage, with 39 percent of respondents listing it as their primary issue and 54 percent as their secondary issue. Here are 10 of the most common mistakes couples make when dealing with money. There’s a time and place for everything, but it’s often difficult to find the right time and place to talk money. Some couples benefit from scheduling a time to talk about money matters, just like they would for a date night or business meeting. Other couples might choose to set a monetary limit that would initiate a conversation: Let’s say, for example, they decide purchases under $500 are discretionary but spending money over that amount warrants a discussion. Find what works for you and your spouse and commit to it. It might not be the most enjoyable way to spend time together, but you’ll thank yourselves later. If you think splurging on a new diamond ring or luxury car will help improve your marriage, think again. A Brigham Young University study found couples with two materialistic spouses were worse off on nearly every measure. Following behind were couples with one materialistic spouse. Couples who claimed money was not important to them, however, were lucky in love: They scored 10 to 15 percent better on marriage stability and other measures of relationship quality than couples with one or two materialistic spouses. Interestingly, it didn’t matter how much money they had, but how much value they put on money. In the study, couples who were better off financially but admitted to having “a strong love of money” found that money was a bigger source of conflict. Scholars have found that individuals gravitate toward spouses who look, sound, and act as they do – except when it comes to money, according to surveys conducted by the University of Pennsylvania, University of Michigan, and Northwestern University. 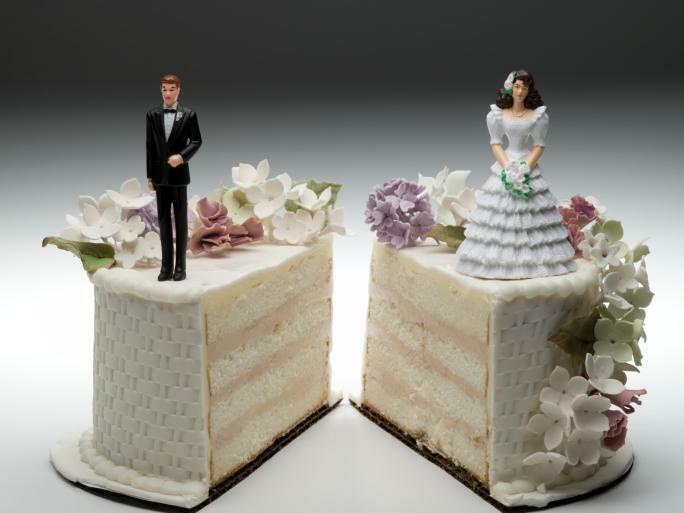 Penny pinchers and reckless spenders tend to marry the other, but these couples report unhappier marriages than those in which both spouses had similar spending habits, the studies revealed. Disparity in spending can be manageable, but if issues aren’t addressed, research says this could increase your likelihood of divorce. The Utah State University study found individuals who feel their spouse spends money foolishly reported lower levels of marital happiness and gauged their likelihood of divorce at 45 percent. Whether you have joint or separate accounts – or both – doesn’t really matter. What does is whether your financial plan is the right one for your marriage. This comes down to you and your spouse’s spending habits and money values. If you’re unnecessarily stressing about small, day-to-day purchases, for example, it might be better to put part of your finances in separate accounts – so you’re less likely to question your spouse’s every buy. If you work better as a team knowing where all your money is and where it’s going at all times, then merged accounts could be better. About 76 percent of Americans admit money is a significant source of stress in their lives, according to an American Psychological Association report. There’s nothing more stressful about money than debt – especially the high-interest, hard-to-pay-off kind. If there’s debt hanging overhead that’s threatening to come between you, read stories like A Simple System to Destroy Debt and focus on paying it off – together. Eighty percent of married couples hide some purchases from their spouse, according to a survey by nonprofit CESI Debt Solutions – with men admitting they’re more likely to routinely cover up their spending. The survey revealed 30 percent of respondents view financial infidelity as being just as harmful as sexual infidelity. What’s more, 79 percent of married respondents were more likely to confess about their financial infidelity to a friend than their spouse. In our recent story The 7 Dumbest Ways to Borrow Money, we explained that borrowing money from family comes with major strings attached. After all, you’re risking your relationship if the deal goes bad. These waters are even more treacherous for married couples. Rule of thumb: Whether it’s borrowing or lending, the fewer in-laws involved, the better. Of course, with the right scenarios, borrowing money from or lending it to family can be a success. But proceed with caution: Consider drafting a legal document to ensure everyone’s on the same page, and resist splurging on luxury items while you still owe family members money. Traditional roles suggest that women manage the day-to-day finances, like balancing the checkbook and paying the utility bills, and men typically handle investing and financial planning. But traditional isn’t always best. A better option: Recognize each other’s individual strengths and divvy up the financial tasks accordingly. You want the best candidate for the job, regardless of what other couples do or used to do. Compared with disagreements over any other topic, research shows financial disagreements last longer, are more salient to couples, and generate more negative conflict tactics, such as yelling. Money conflicts in marriage particularly affect men. Research suggests that since they are socialized to be providers, men tend to take financial conflict harder than women. Money doesn’t always have to be a source of stress or conflict. It can also be a source of pleasure. Some of my happiest memories with my husband wouldn’t have been possible without us spending money – on things like exploring Italy, or taking our daughter on her first trip to Florida. In fact, research indicates that spending money on new experiences, like concert tickets or a wine tasting, produces longer-lasting satisfaction than spending money on material possessions. Experiences bring us happiness not only when we’re experiencing them, but also whenever we reflect back on them as memories. Fond memories, after all, usually turn out to be one of the most valuable assets in a marriage. Can Getting Married Make You Richer? Ask Stacy: Can I Help My Fiance's Credit?